Florida Real Estate: New Homes Built By Adams Homes Are For Sale! This exciting new community is developing quickly. Be sure to visit and purchase as soon as possible. 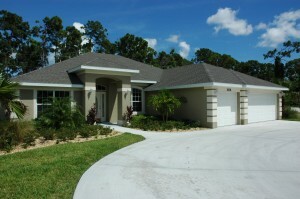 Adams Homes has new homes for sale in Port St Lucie, Florida. A robustly growing city, Port St. Lucie offers residents up-scale shopping, quick-access to major roadways Interstate-95, The Florida Turnpike, and US Highway 1, as well as forty parks and recreation areas filled with boat ramps, playgrounds, basketball courts, tennis courts, and gymnasiums. Port St. Lucie is about twenty five miles south of Vero Beach, fifty miles north of West Palm Beach and is half way between Orlando and Miami. This is the perfect area for new families to settle down and make a beautiful new beginning in a flourishing sun soaked city. Adams Homes is known as a top-rated Port St. Lucie home builder and has been serving Treasure Coast home buyers since 2003, completing more than two thousand new homes. Adams Homes has new homes for sale on your choice of more than a hundred home sites with a product offering that can’t be beat. Home prices include an 80’ x 125’ home site, all permitting fees, all utility hook-up fees, as well as tens of thousands in upscale features other Port St. Lucie consider upgrades.